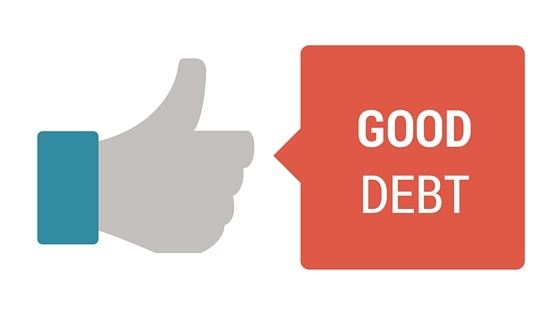 It may sound counter-intuitive, but good debt is actually a certain type of liability. While there's numerous bad debts like auto loans, credit cards, there are also good debts that can help grow the value of an asset, and increase your net worth. Education - Education and success have always gone hand and hand. In general, the more education an individual has, the greater that person's earning potential. An investment in a technical or college degree costs a bit up-front, but is a smart investment to make long term, and should pay itself back within a few years with the increased earning potential. Real Estate & Mortgages - Investing in a mortgage is a good debt for two reasons: The interest from the mortgage is tax deductible, and can save you a significant amount of money each year when tax season comes around. Also, you can leverage more money when purchasing real estate. A $300,000 dollar house may sound like a lot of money, but certain loan programs allow for just 3.5% down, which is only about $10,500 down. Don't let these historically low interest rates slip away. Find the right home loan for you with Petra Cephas.